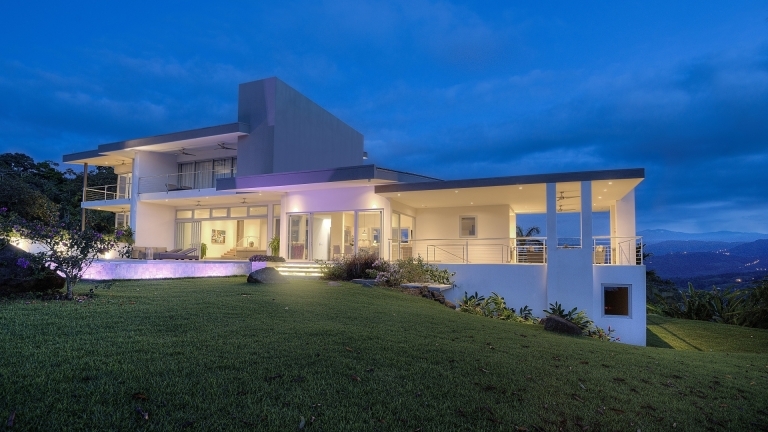 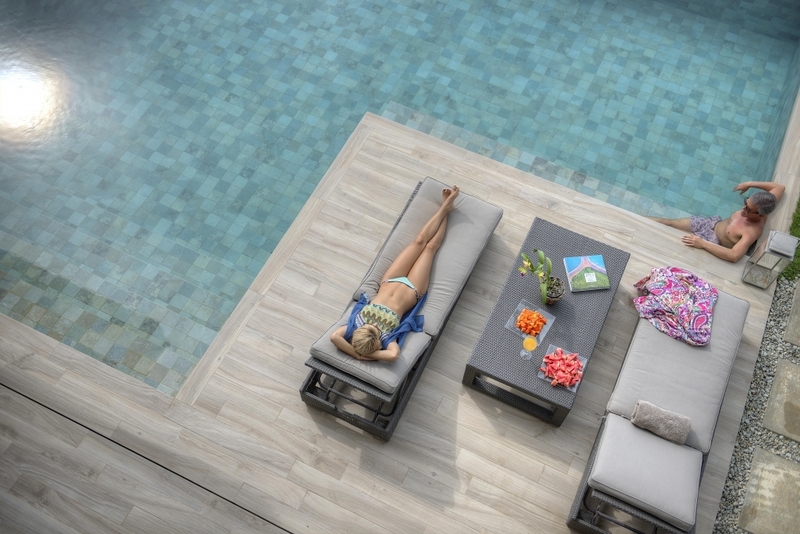 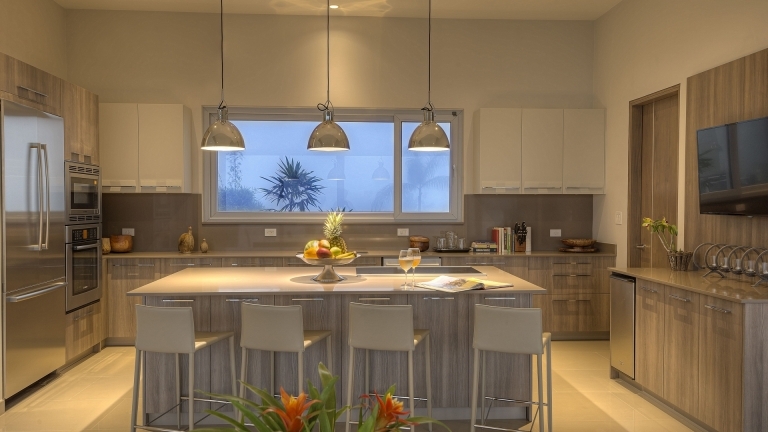 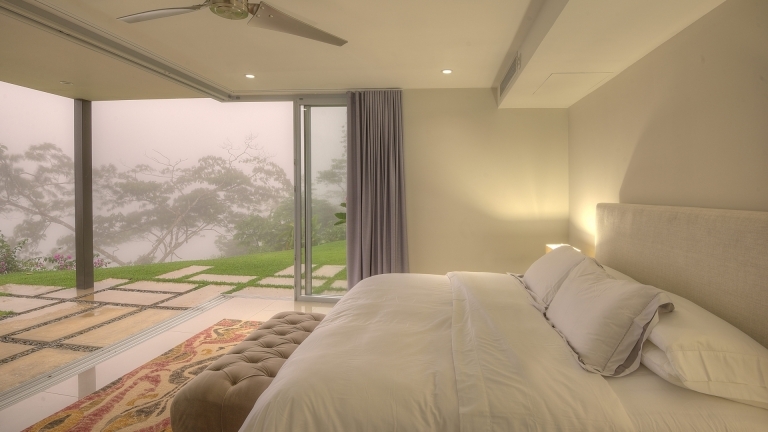 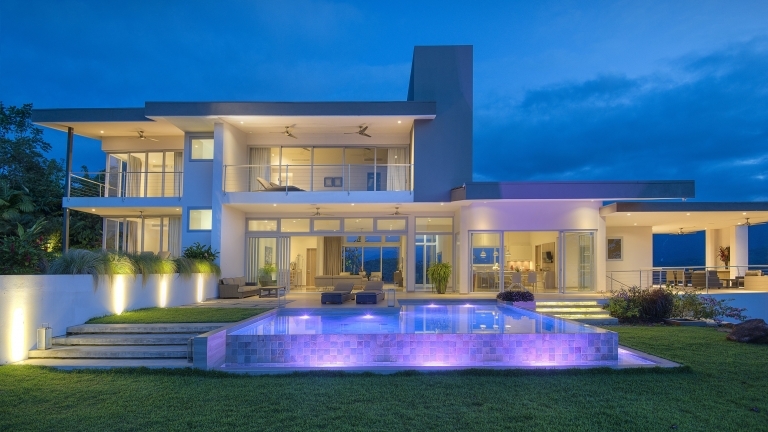 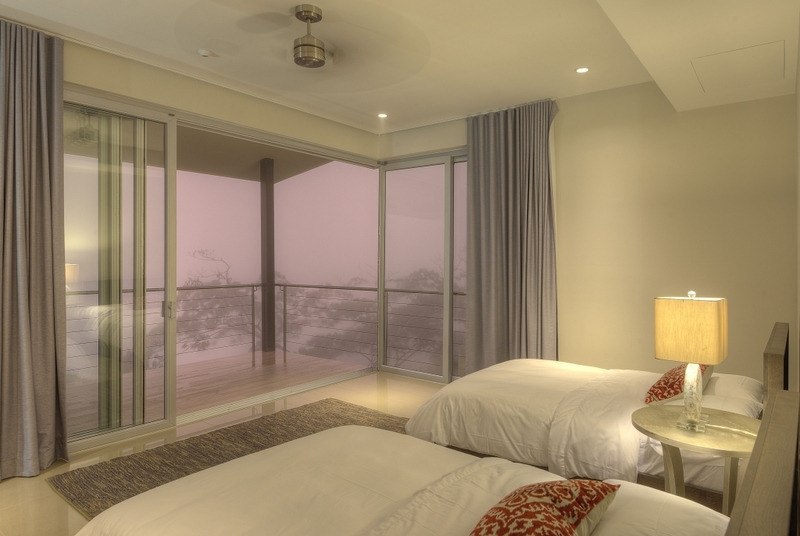 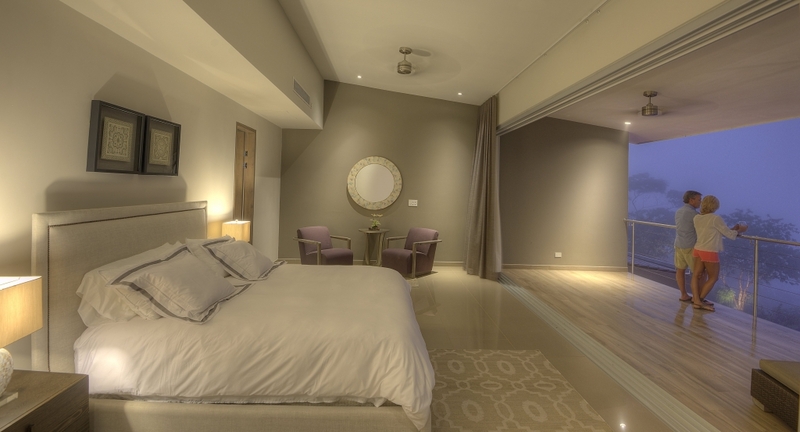 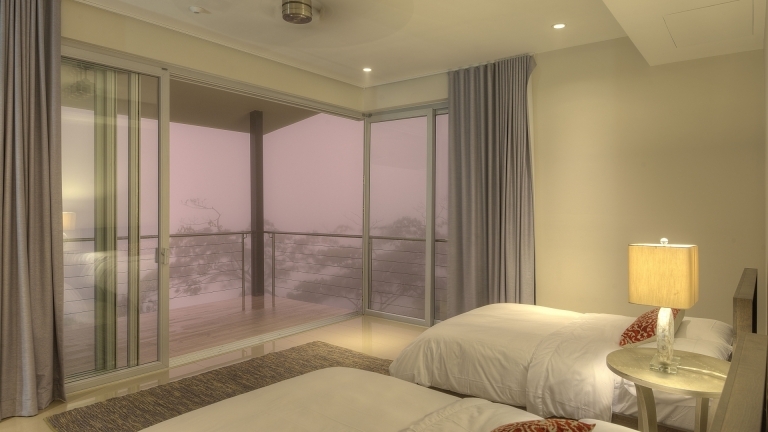 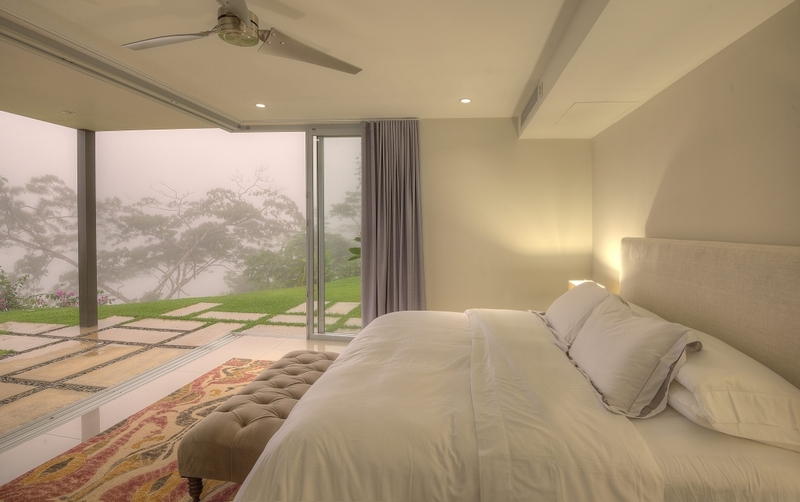 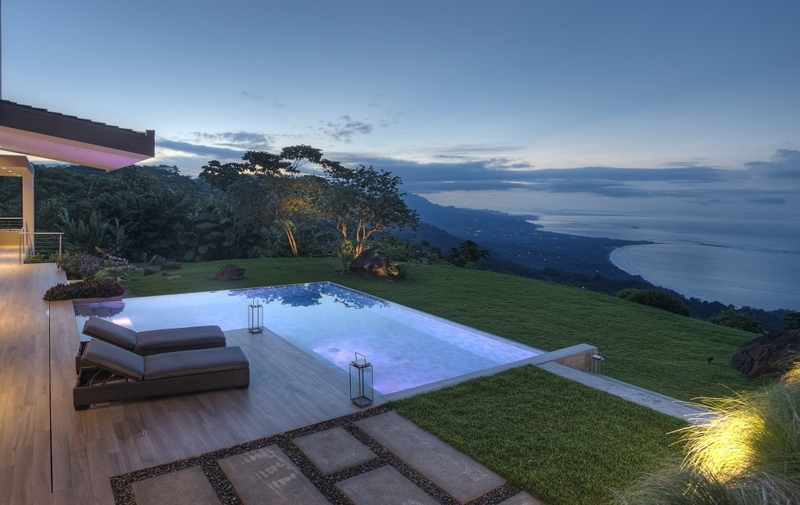 If you ever dream that you are sleeping on a cloud, then you just might wake up in Meridian House, Axiom Development Group’s flagship Sierra Collection estate in Costa Rica. 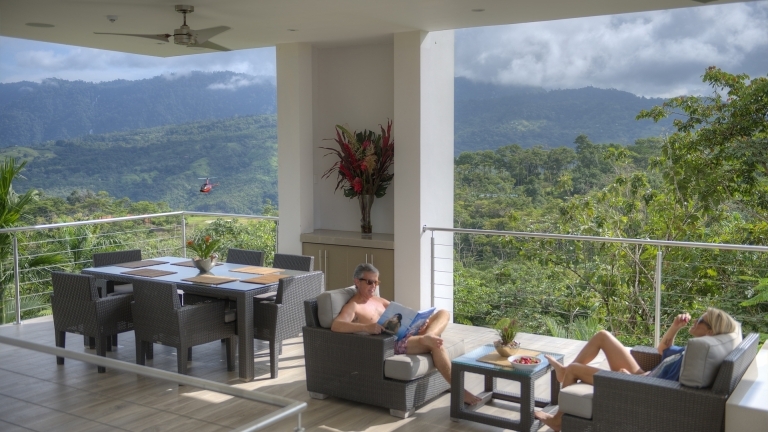 Set in the cloud forest of the Costeña Mountains, Meridian House features a backdrop of rich blues and lush emerald greens. 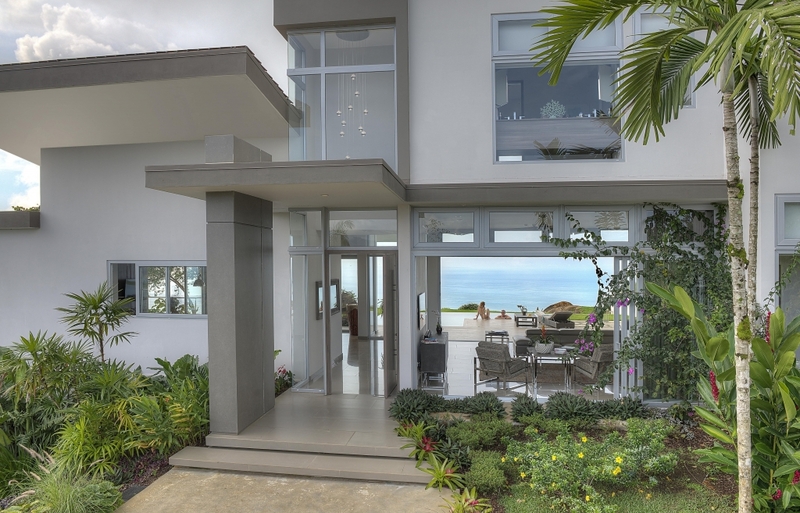 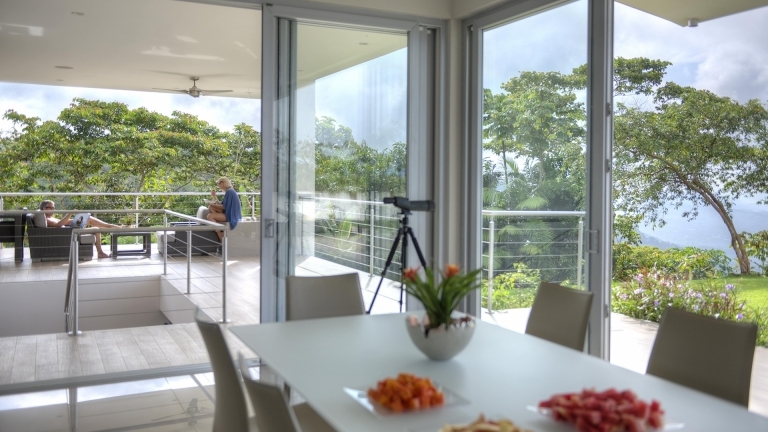 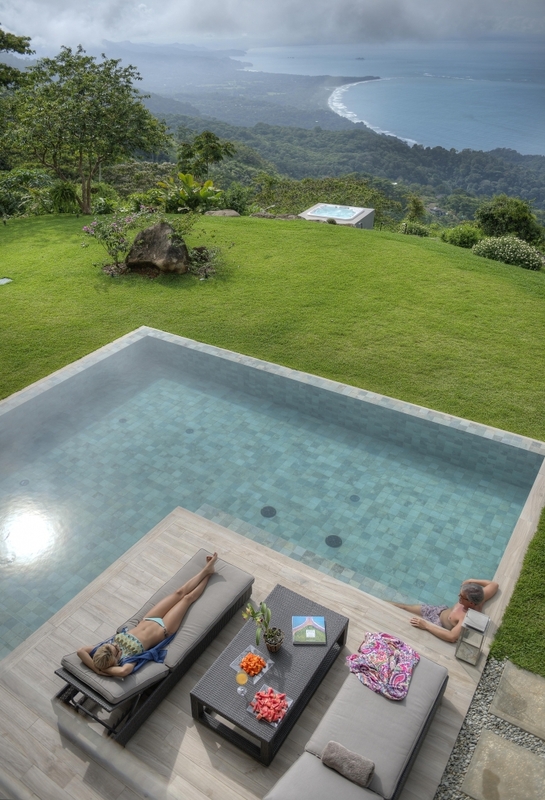 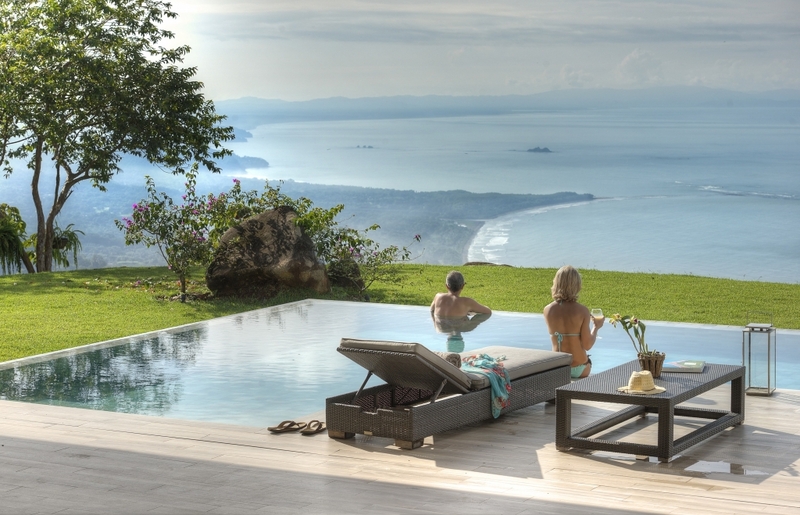 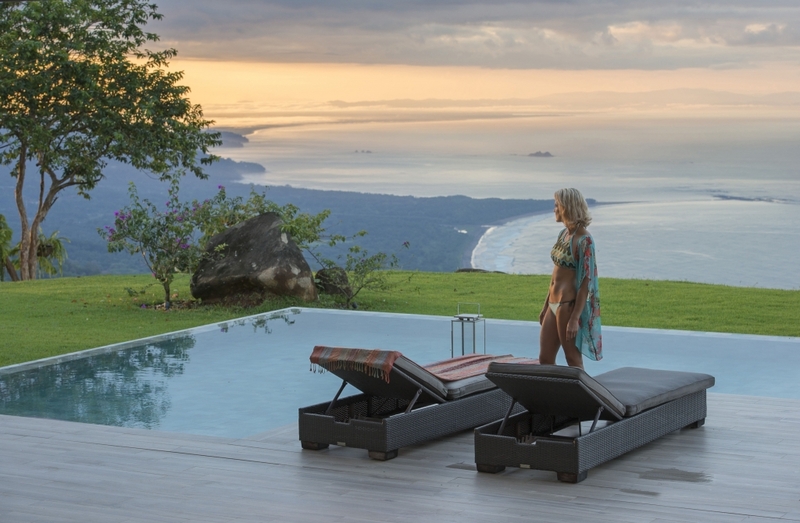 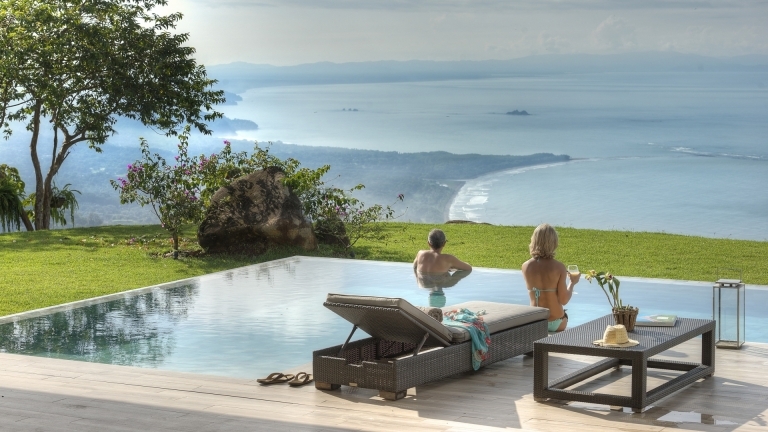 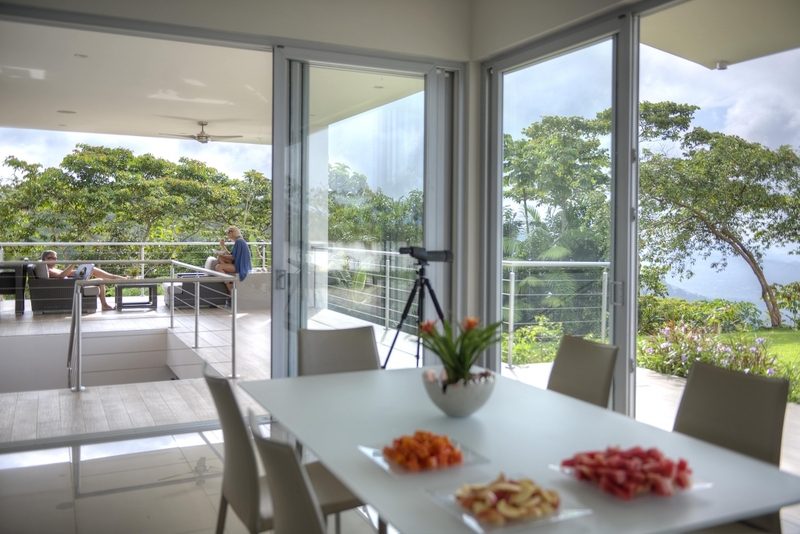 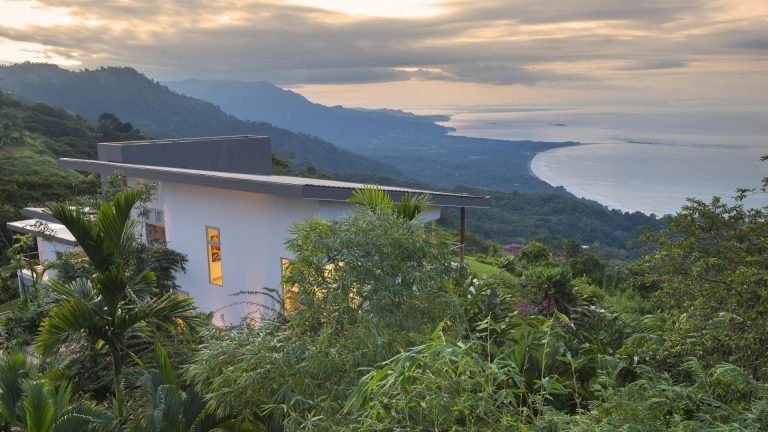 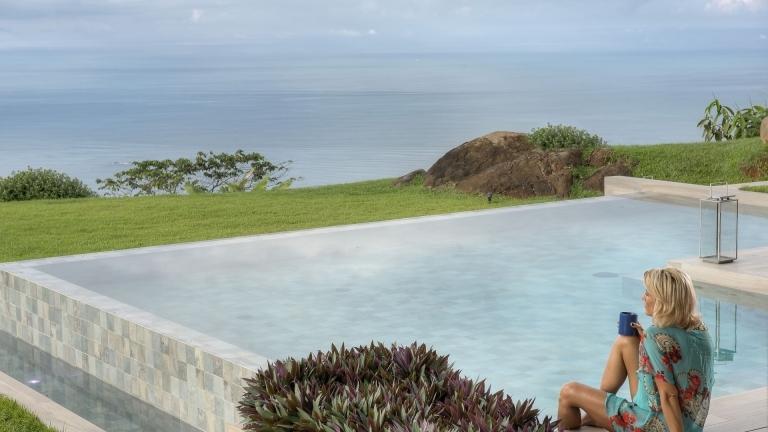 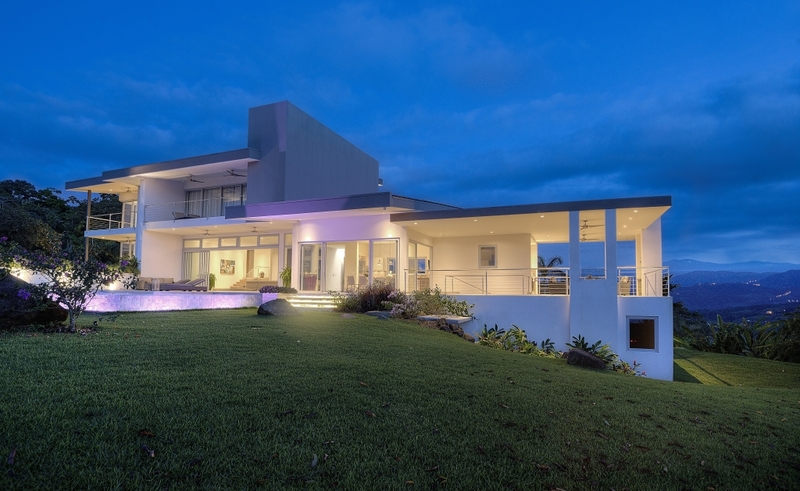 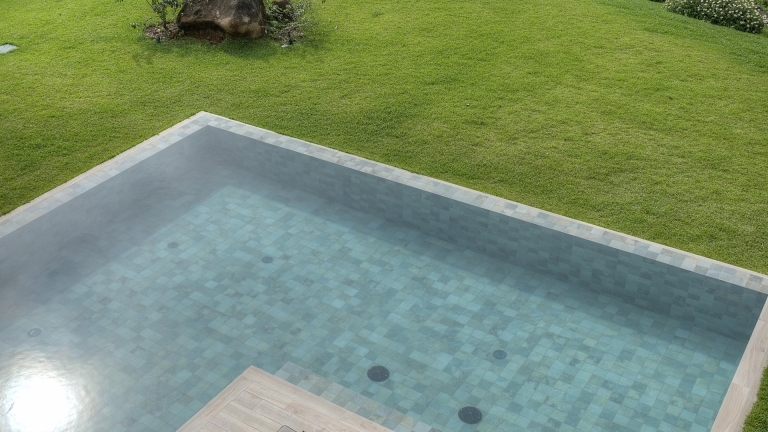 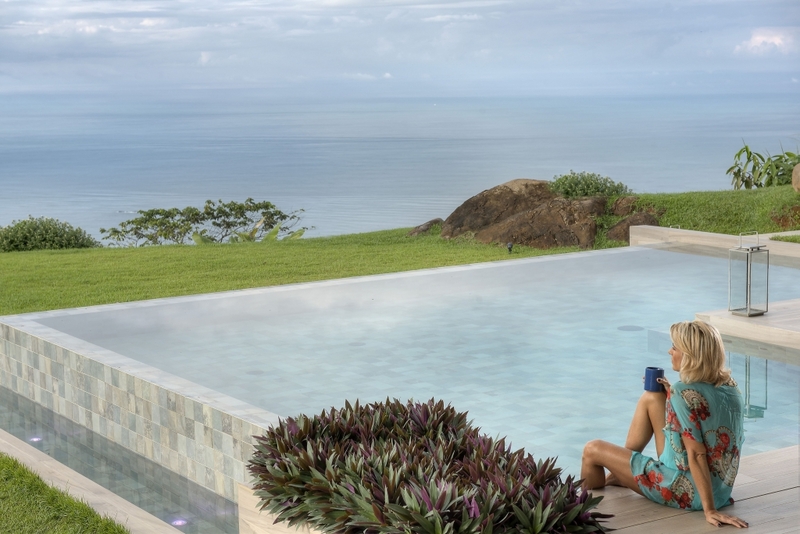 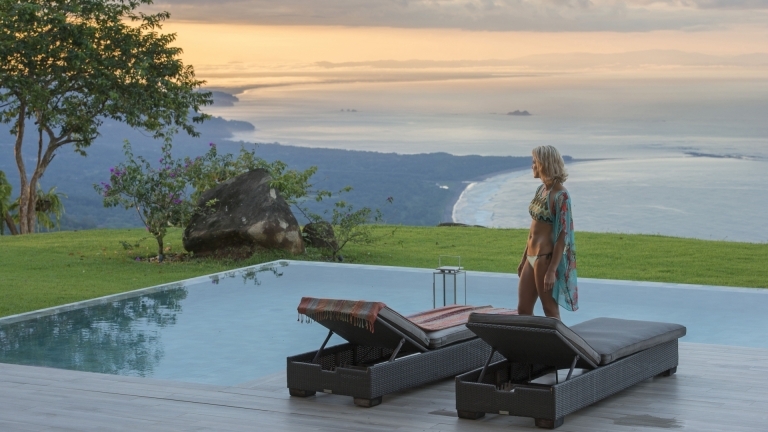 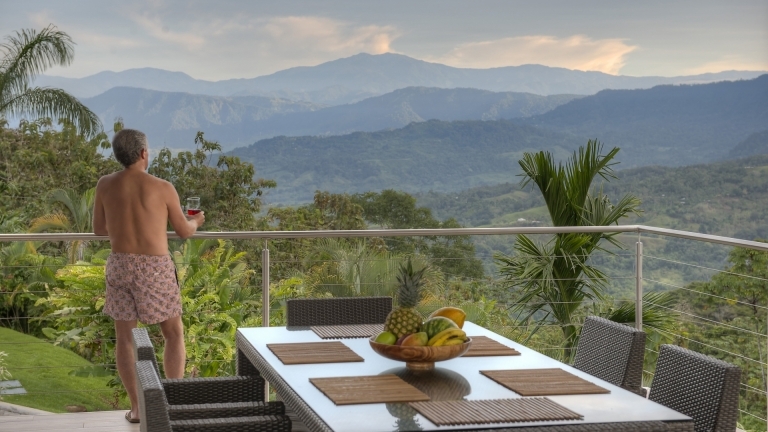 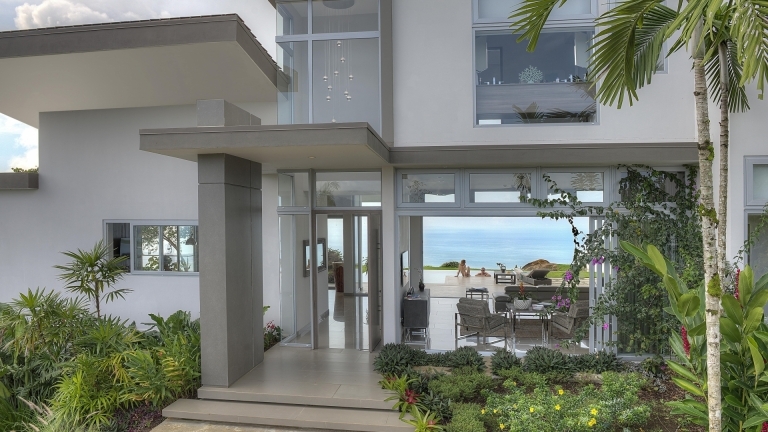 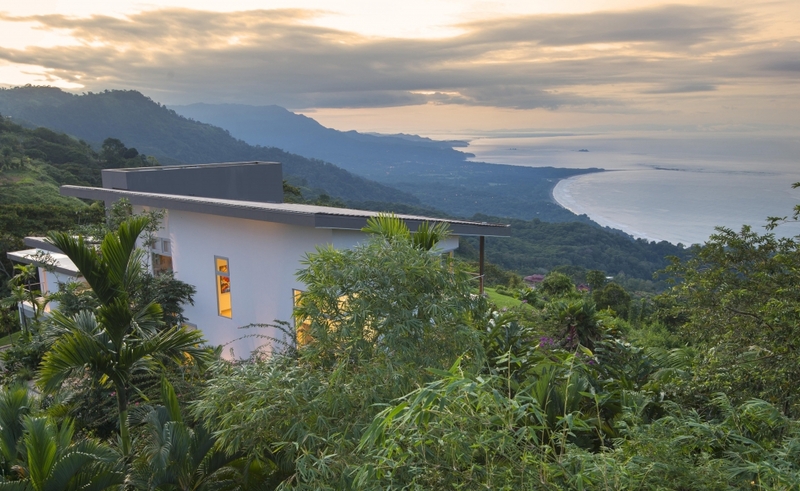 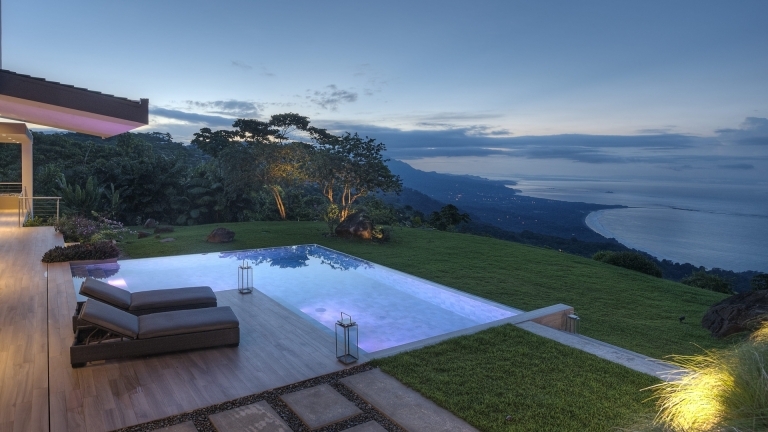 The house is perched on a ridge, 2,000 feet above Costa Rica’s southwestern Pacific coastline, and the multi- million estate’s panoramic views inspire you from the moment you wake up until the moment you start to dream again. 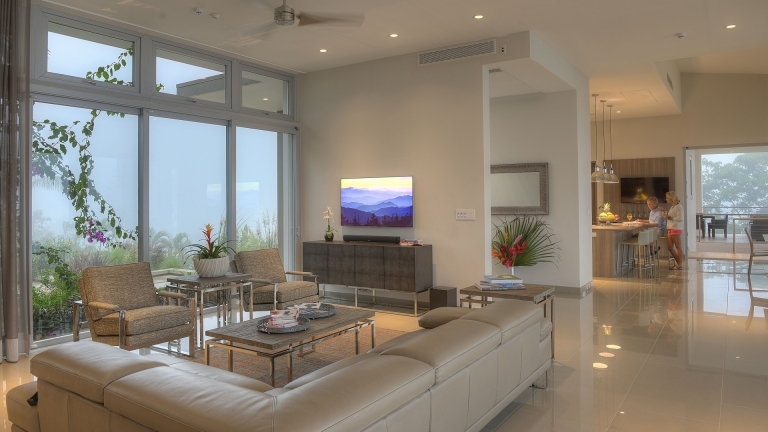 • Outdoor kitchen featuring Wolf™ 36” outdoor grill with rotisserie option and 13” side burner, U-line™ refrigerated drawers and ice maker, sitting area with a gas-powered fire pit, entertainment center with high-definition flat screen TV. 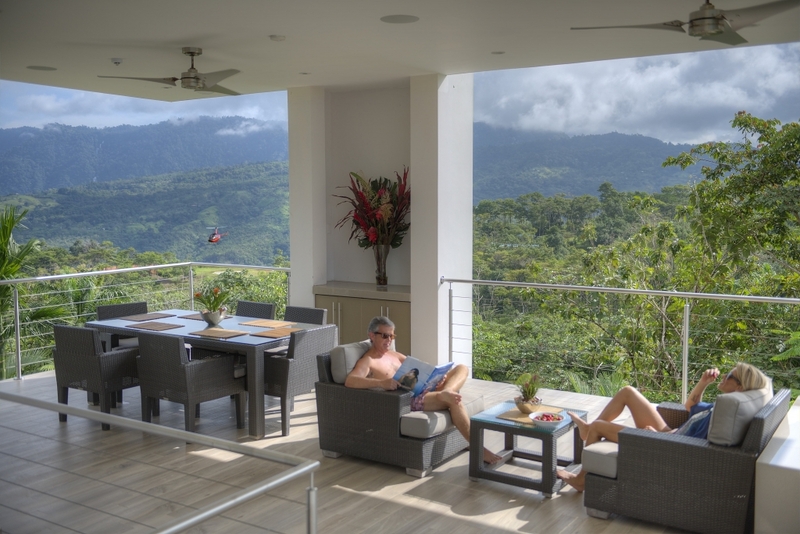 • Exterior features: Pool, Jacuzzi, BBQ, extensive gardens, gas-powered fire pit, outdoor kitchen with refrigerated drawers and ice maker, inside 1,250 acres exclusively reserved for single-family estates bordering rainforest preserves and an extensive trail system that includes a waterfall. 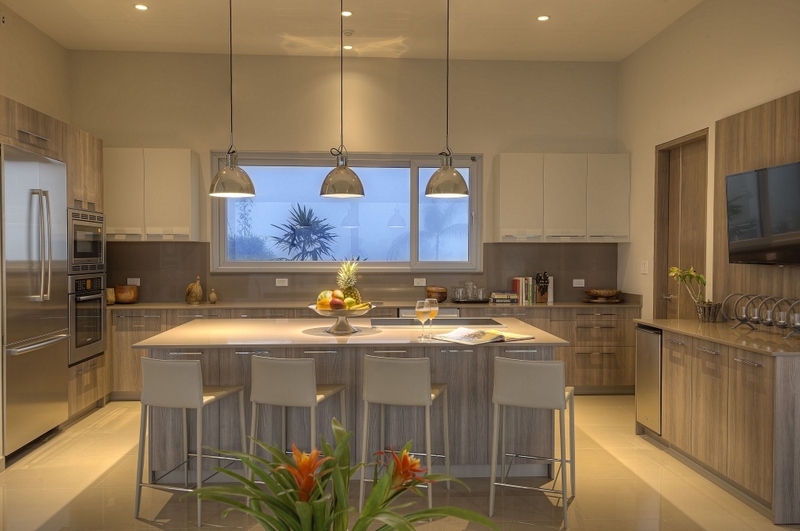 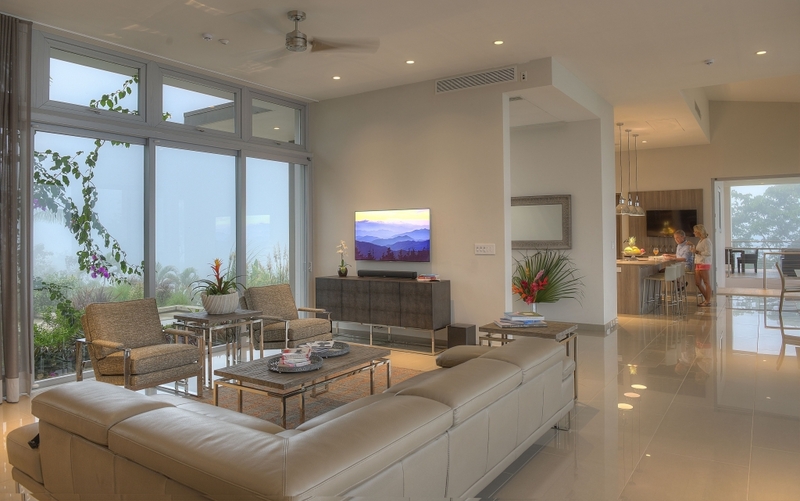 • Amenities and features: walking trails, parks, tennis courts, swimming pools, fitness facilities, the Costa Verde clubhouse and helipad.